New Delhi: In a move that should give a fillip to Metro Rail projects in Chennai and Ahmedabad, the Finance Ministry on Friday announced that it had exchanged notes with the Government of Japan for a combined loan assistance of Rs. 5,536 crore for both the Metro projects. “The notes were exchanged here on Friday between S. Selvakumar, Joint Secretary, Department of Economic Affairs, and Yutaka Kikuta, Charge d’ Affaires ad interim, Embassy of Japan to India. The Government of Japan has committed an Official Development Assistance (ODA) loan of JPY 19.981 billion (approximately Rs. 1,080 crore) for the Chennai Metro Rail Project and JPY 82.434 billion (approximately Rs. 4,456 crore) for the Ahmedabad Metro Project,” the Finance Ministry said in a release on Friday. The estimated base cost of the Chennai Metro Rail project, according to the Chennai Metro Rail Limited (CMRL), is about Rs. 14, 600 crore. “Of this, the Central and State governments together are expected to contribute about 41 per cent. The balance will be met by a loan granted by the Japan International Cooperation Agency (JICA),” the website said. The first phase of the Chennai Metro Rail project, from Alandur to Koyambedu, began on June 29, 2015. 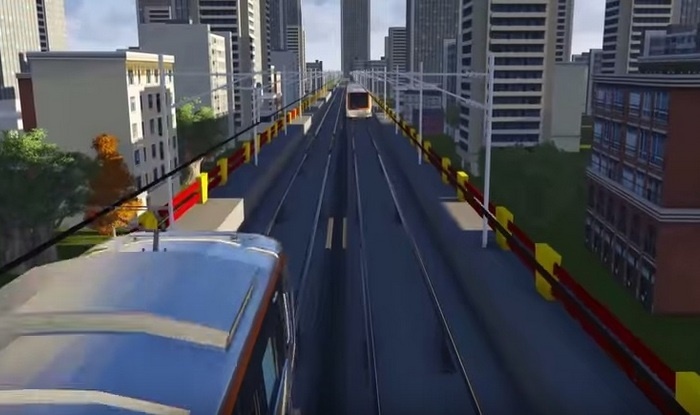 The Ahmedabad Metro Rail project is estimated to cost a total of Rs. 11,463 crore covering a distance of around 38 km. Meanwhile, CMRL officials said they had received the funds for the year 2014-15 already from JICA and the State government as well. “Of the Rs. 14,600 crore which is the total cost of the project, we received around Rs. 11,000 crore so far. The work is progressing well,” an official said.